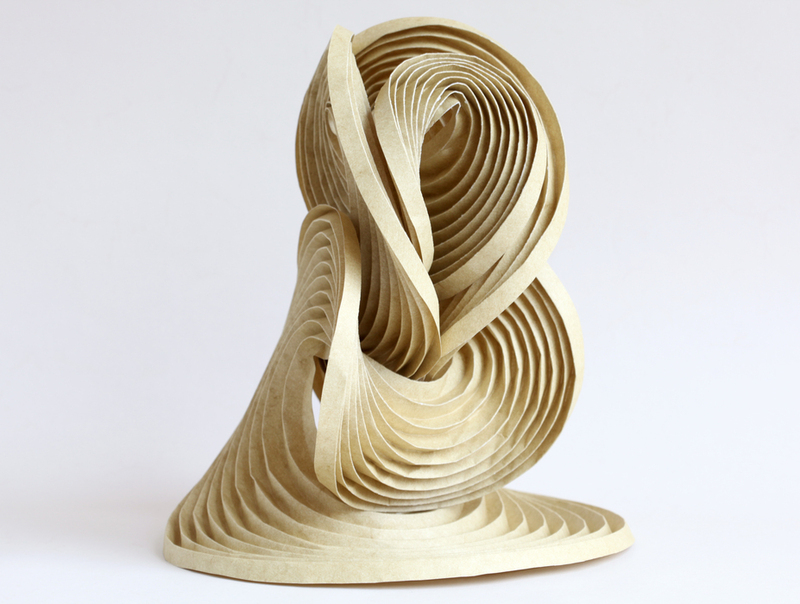 Erik and Martin Demaine are a father and son who collaborate on mathematically derived curved and folded paper sculptures. Their work pictured above reminds me of the image I recently posted of a sculpture produced by a student of Josef Albers during a class in the 50s. Martin is a mathematician and artist and residence at MIT where his son Erik is a professor of Computer Science and wrote his thesis on “computational origami”. More info on there work can be found on Erik’s website.